Just a week after renouncing Apple an injunction against the Galaxy Tab 10.1N, the reworked Samsung tablet was cleared by a German court for sale after the original tablet was banned infringing the ‘look and feel’ of the Apple’s iPad. The legal battle is over in Germany at least for the Galaxy Tab 10.1N, as the state court in Dusseldorf passed on a verdict, stating there are “clear differences” between the Samsung tablet and Apple’s tablet, according to Reuters. Back in September 2011, Apple was granted an injunction against the Galaxy Tab 10.1, forcing the South Korean electronics giant to rework on its tablet to come up with the 10.1N, a tablet device designed to bypass the injunction by altering certain aesthetic attributes identical to iPad. The redesigned tablet device was introduced last year in November and successfully avoids the injunction imposed in January. 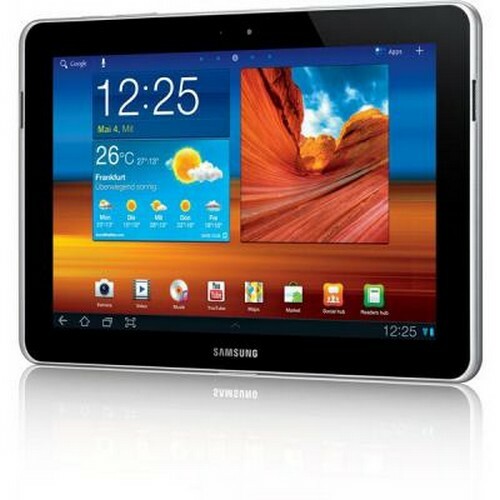 When it comes to competitive market, the Android-based tablet from Samsung is considered as a direct competitor to the omnipresent iPad. The recent loss in Germany adds to Apple’s series of court losses to ban the device in the United States, Netherlands and Australia. Both the companies have been involved in a number of litigations all across the world including lawsuits in US, Australia, Japan, Korea and Europe. It all began when Apple first filed a lawsuit against Samsung in April last year when the Cupertino-based tech giant asserting that a good number of Samsung’s mobile phones and tablets infringed on intellectual property rights. The Korean electronics giant in return filed counter-suits against Apple in Germany based on cellular technology patents. However, Samsung has already lost two claims, while third is scheduled for ruling in March.